An NBC 5 Investigation finds more and more parents in North Texas are saying “no” to vaccines. 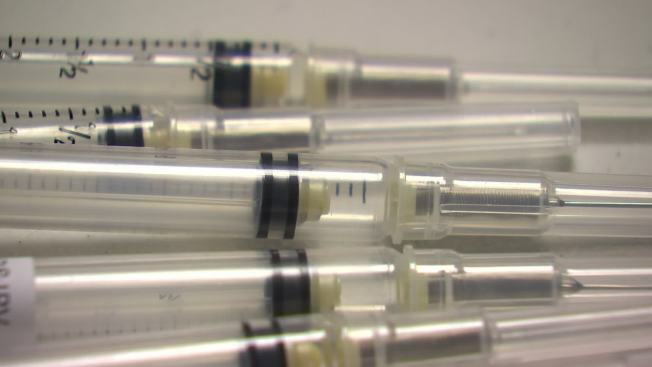 New numbers from the Texas Department of State Health Services show the Frisco Independent School District had at least 931 students whose parents opted out of vaccines for personal reasons last year, the largest number at any local school North Texas school district. Both the Plano Independent School District and Lewisville Independent School District each had more than 800 students who skipped one or more vaccines for personal reasons. Both the Plano Independent School District and Lewisville Independent School District each had more than 800 unvaccinated students. That’s still a small percentage of students in those districts, but some health officials worry unvaccinated kids may end up clustered together in classrooms where an outbreak could happen. While many students get their back to school shots this summer, Amy Rutzen’s kids will not. “The school nurses every year give you a guilt trip about why you should vaccinate. They're very good at that,” said Rutzen. After her oldest son had a bad reaction to a vaccine, Rutzen said she filled out “conscientious exemption” forms for her younger children as well, concerned that they might have similar reactions. Conscientious exemptions allow students to attend school without all of the required vaccinations. Rutzen said it’s important that parents have the choice of whether to vaccinate so that they have the can decide what is best for their own children. New state records obtained by NBC Investigates show the number of parents saying “no” to vaccines is on the rise in Dallas, Collin, Tarrant and Parker counties. In Tarrant County, the number of conscientious exemptions has quadrupled over the last seven years. Last year, 4,202 skipped one or more vaccine. That’s about 1,000 more than the previous school year, a 42 percent increase in unvaccinated kids in just one year. In Dallas County the number of unvaccinated students has tripled in seven years. “The number of parents choosing not to vaccinate their kids is going up. It's part of an overall trend across the country and it's really concerning,” said Dr. Seema Yasmin, a public health professor and health reporter at The Dallas Morning News. Statewide, 40,997 students opted out of vaccines -- that’s still less than 1 percent of students in the state. Denton County numbers dropped this year after Denton ISD determined it submitted incorrect data to the state last year. Denton ISD had been reporting total number of shots students skipped instead of the total number of students who opted out of one or more vaccine. But Yasmin, who worked as a disease detective for the Centers for Disease Control and Prevention, said the concern is there could be small groups of unvaccinated kids in the same school. A recent study in The Journal of Pediatrics found parents who opt out of vaccinations for their children tend to live in clusters. “It's much more likely that when kids are unvaccinated they'll be clustered in a school or classroom with other children who just like them are not vaccinated. And that can really increase the risk of an outbreak occurring in a school”, Yasmin said. Last year in California, a measles outbreak that started at Disneyland sickened more than 100 people. Most were not vaccinated. Since then, California passed one of the toughest vaccine laws in the nation, eliminating all exemptions for religious or personal reasons. Terri Andrews a vaccine advocate with Tarrant County’s Immunization Collaboration thinks the new California law is a good thing and was disappointed when the Texas Legislature did not pass a similar proposal this year. “By not getting the vaccine you are exposing your child to a potentially deadly disease,” Andrews said. But any attempt to take control away from parents will meet strong resistance from those who want the freedom to decide. “It's kind of shocking to me to think about having somebody come in and tell me that I would have to do this,” said Rutzen. State records suggest there are clusters of unvaccinated kids in a number of private schools. Some small private schools in Tarrant and Denton counties have the highest percentages of kids that don’t have shots. Last year, state data showed Denton County had the third highest rate of students skipping vaccinations in the entire state. But, since then Denton ISD has determined it submitted inaccurate numbers to the state. The district said it mistakenly reported the total number of shots students skipped instead of the total number of students who had conscientious exemptions thus making the county’s numbers artificially high. To see how your child’s school district ranks, see the numbers below.